Emil Mann, a resident of Monroe, New York and a member of the Ramapough Mountain Indian tribe, died April 10 of gunshot wounds from a confrontation with park police. He was 45 years old. Park Police Officer Chad Walder asserts that Mann tried to grab his handgun and that he shot at Mann because he felt that his life was in danger. He was shot at three times and hit twice, in the chest and leg. Mann’s cousin, Otis, was also arrested during the confrontation. He is free on bail and attended his cousin’s funeral service. After being in critical condition for nine days at Hackensack University Medical Center, Mann died of complications from his gunshot wounds. This shooting has increased tensions between the Ramapoughs and law enforcement. Many Indians feels that both Otis and Emil were targeted because of their race and that the killing stemmed from decades of anti-tribe bias from the government and neighbors alike. During Mann’s funeral, friends, relatives and members of his tribe paid their respects and also campaigned for justice. Throughout the ceremony, there was dialogue about the unfairness of Mann’s death. 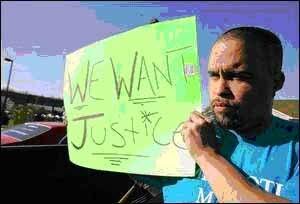 Teenagers wore t-shirts with the slogan, “We want justice.” The Bergen County prosecutor’s office is still trying to determine whether Walder was justified in firing his pistol at Mann. “It's murder," said Rodney Van Dunk, a cousin of the tribal chief. "Even a bear doesn't get shot three times." Governor Corzine met with Ramapough tribe members in April and promised an “effective and thorough investigation” of the fatal shooting. A grand jury was summoned to determine if a police officer’s shooting of a mentally ill man in Bentonville, Arkansas was justified. State trooper Larry Norman shot 21-year-old Joseph Erin Hamley on March 7 after mistaking Hamley for a prison escapee from Michigan. Norman was responding to a report of the escapee being possibly sighted in the area. Hamley was shot about one minute after officers arrived at the location near a highway, when he failed to obey a police command to show both hands. Hamley had cerebral palsy, had never learned to read, and could only communicate on a limited basis. 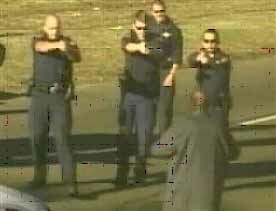 He was unarmed. State police launched an investigation of the incident and prosecutor Robin Green launched an independent investigation as well. The county sheriff as well as other law enforcement authorities conducted interviews with Norman, the other officers on the scene, and persons who witnessed the shooting. Photographs taken at the scene were also submitted for review. On April 13, a grand jury handed down an indictment. Both jurors and experts alike pointed out lack of communication between officers as a factor in the shooting. Green plans to charge Norman with misdemeanor negligent homicide, a Class A misdemeanor punishable by up to 1 year in county jail and a $1,000 fine. Norman is to appear in court May 22 for an arraignment. 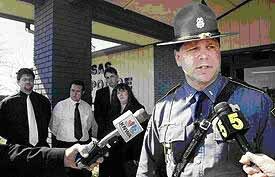 He remains relieved of duty with pay, pending outcome of the state police’s internal investigation. On December 26, 2005, police shot and killed 38-year-old Anthony Hayes after he caused a disturbance at a pharmacy in downtown New Orleans. Once outside of the store, Hayes told a police officer that he had gotten in an altercation with an employee at the pharmacy. That officer and several other officers followed him down the street. After an officer sprayed him with pepper spray, Hayes pulled out a three-inch hunting knife and started waving it around. According to witnesses, police told him to drop the knife and lie on the ground, but he continued to remain on his feet and wave the knife around. After several minutes, Hayes appeared to lunge forward within close distance of one of the officers. Immediately after, several officers fired at least nine shots at Hayes, killing him. Hayes was described by family members as having a history of mental problems. Area residents said the man was frequently seen around the neighborhood and appeared mentally unbalanced. At least three witnesses videotaped Hayes’ confrontation with the police officers, but none captured the actual killing itself. 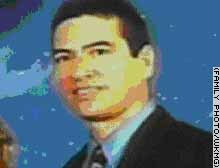 On December 6, 2005, 44-year old Rigoberto Alpizar was shot and killed by U.S. air marshals on a boarding bridge at Miami International Airport. Alpizar was a U.S. citizen on a stopover on a flight from Medellín, Colombia to Orlando, Florida when he began behaving irrationally and claimed that he had a bomb in his carry-on luggage. Witnesses say he was frantically running down the airplane aisle with arms flailing and that the woman with him (his wife) said that he had bipolar disorder and had not taken his medication. He was confronted by a team of federal air marshals who followed him off the airplane onto the boarding bridge, where they forced him at gunpoint to get down on the ground. When Alpizar appeared to be reaching into his carry on bag, approximately three shots were fired and Alpizar was seriously injured. He later died from his wounds. The U.S. marshals insist that their actions were justified and consistent with their training. After the shooting, police dogs sniffed all luggage on board, including Alpizar’s, and held all passengers on board at gunpoint until the luggage was cleared. No bombs or explosives were found. Another story in national headline news at the same time as the killing of Anthony Hayes in New Orleans was that of a deer that strayed into a parking lot in Washington, D.C., in the monument district. First responders (police, fire, animal control) surrounded the deer and tried to catch it. Failing that, they used a single dart from a tranquilizer gun to subdue the deer, so that they could gently lift it onto a pickup truck and take it to safety. On March 22, 2006, a coyote was spotted romping through New York City's Central Part, dining on pidgeons and ducks and posing a real threat to humans and other animals. Hundreds of New Yorkers stroll their babies, walk their dogs, and jog through Central Park on a daily basis. The coyote had apparently hung out there for several days, being described by various callers as a hyena or a wolf. He was nicknamed "Hal" by the police and parks officials trying to track him down. After downing the meals of fowl, on Wednesday the 22nd Hal was seen swimming across the duck pond and sprinting past a skating rink-turned-movie set. Someone from the film's wardrobe crew saw him going after a lady's small dog and called police. Hal alluded them a number of times, as he had done the days before; but this time the posse of police officers, park officials, and reporters gave chase while television news helicopters hovered overhead. When the pursuers on foot finally caught up with Hal, he was hit with a single tranquilizer dart and taken in a cage to the Fire Department dispatch station for a nap. Speculating on how Hal had gotten to Central Park, city parks commissioner, Adrian Benepe, said that he probably wandered down from Westchester county through the Bronx; and Laura Simon, field director for the urban wildlife program of the Humane Society of the United States, thought that he might have hitched a ride, perhaps on a garbage truck. A woman in the park who was interviewed by a television news crew said that she was "rooting for the coyote" the whole time. Mayor Michael Bloomberg joked about Hal and the danger that he posed at a breakfast at the New York Public Library. "Are New Yorkers in danger? This is New York, and I would suggest that the coyote may have more problems than the rest of us." Longwood, Florida (AHN) – An eighth-grader shot by a member of the SWAT team after he showed up at his middle school Friday brandishing a gun is clinically brain dead, the family's lawyer said Saturday. According to neighbor Kelly Swofford, who had been with the family through the ordeal, Christopher Penley’s organs were to be donated. This was the reason he was being kept alive at an area hospital. "The family is devastated, just devastated," she said. Penley, who was reported to be suicidal, had a pellet gun at school Friday and after ordering a student into a classroom closet, led SWAT team members on a chase that ended up in a bathroom. He aimed the gun at one of the deputies and was shot instantly. Authorities said at the time they believed his weapon to be a 9 mm Beretta, however, it was later determined he was carrying a pellet gun. "Everybody in the whole neighborhood is really upset," Paul Cavallini, who lives across the street from the Penleys, told the Associated Press Saturday. "He was a quiet kid — polite and everything. He was just a normal teenager." Anthony Johnson, 15, died Saturday November 19 at Ben Taub General Hospital, nearly one month after a sheriff’s deputy shot him in the back following a high-speed chase. Anthony’s mother and community activists have raised many questions to the exact circumstances surrounding his shooting. According to the deputy, following a high-speed chase of a stolen pickup truck, Anthony, a student at Aldine MacArthur Senior High School, attempted to flee on foot through a alley when he aimed an assault rifle at the deputy as he fled. The deputy then fired at the teenager hitting him in the back and severely injuring him. The location of the gunshot wound has created some controversy as to whether or not Johnson was actually in a threatening position. The bullet that hit Johnson ricocheted off his shoulder blade before hitting his spine close to the neck. Deric Muhammad, a local minister with the Nation of Islam, said that the teenager could not have sustained such an injury while pointing the weapon at the deputy. The Sheriff’s spokesman Lt. John Martin said the type of rifle Johnson was carrying made this injury possible but went on to say that the deputy has been placed on administrative duties, because the case could go to grand jury.